The name “Tim Ferriss” meant little to me until his father, a friend, showed me some magazine articles with his son on the cover, noting, proudly, that Tim’s business podcasts are #1 on iTunes and that “The Tim Ferriss Show,” the first such podcast on iTunes to go over 1 million hits, has been the most downloaded site for the last three years. Forbes called Tim a start-up investment guy we ought to know about. Fortune cited him among forty under forty to watch (he’s 39).  And The Observer called him “the Oprah of audio” because of the wide popularity of his podcasts. Recently, Tim was on “The Tonight Show with Jimmy Fallon,” taking up a dare to get Fallon flying by lying down on the floor, on his back, and holding Fallon aloft. He did it, then bounded up with a knowing grin. A few days earlier, his dad had invited me over to meet his East Hampton-born and bred son who was visiting from San Francisco. I not only got to meet the “serial entrepreneur” whose start-ups include Uber, Facebook, Twitter, Shopify, Alibaba. I also got a copy of his new book Tools of Titans, along with assurance that I didn’t need to try to suspend anyone in the air. Ferriss has a huge fan base not only from the podcasts but from his best-selling books, updated versions of his podcasts. Bibles to his fans, the books have catchy titles – The 4-Hour Workweek, The 4-Hour Body and The 4-Hour Chef. They also have super-confidant subtitles. 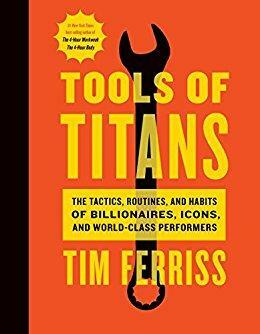 The one for Tools of Titans is: “The Tactics, Routines, and Habits of Billionaires, Icons, And World-Class Performers.” The titans include professional athletes, chess prodigies, movie stars, four-star generals, gymnasts, obstacle course racers, Zen masters, musicians, so many more. The liveliest parts of the book, though, are when Ferriss himself gets into the conversation. He has a good sense of humor and is forthcoming about his own demons and depression. He knows the psychological importance, for example, of one recommendation: make your own bed every morning. This is a big book, close to 700 pages of testimony, guidance, quips, quotations and philosophy. Don’t look for logical structure or chronology. The idea is to dip in anywhere. But be careful, he says, especially in regard to procedures having to do with bodybuilding, diet and drugs. He himself tests everything and readily admits failure. In fact on one of the podcasts, he poses with a bandaged arm. Nothing new, his mom laughs. “He used to break a bone a year, now it’s ligaments and muscles.” It’s worth noting, by the way, that Ferriss does not push particular products or points of view. He offers a wide range of ideas and strategies, though there are common denominators, such as risk taking and focusing on one challenge at a time. It’s the “spirit” of the titans Tim would have us channel, not their individual lives as models. He hopes we’ll find tips and tricks for the ultimate investment – in ourselves.